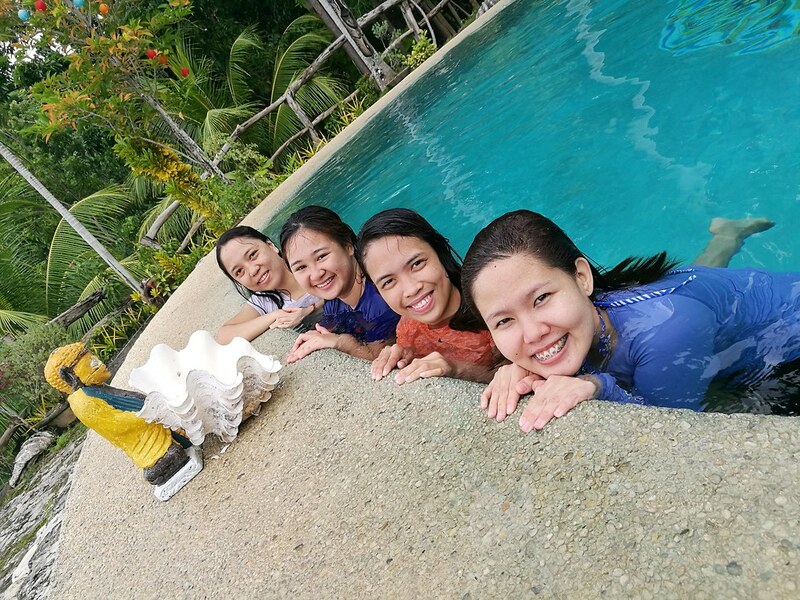 Last year, I went with my work batchmates to celebrate our third anniversary at Fantasy Lodge in Samboan, Cebu. I've read lots of good reviews from other blogs and I was really excited to finally be able to go there and hopefully try the famous Kawa or Cauldron Hot Bath. However, I set my expectations too high and honestly got quite disappointed not with the experience but with the service. Read on to know why. It was already around 12 noon when our bus took off from South Bus Terminal going to Samboan with the route Bato via Barili. We told the konduktor in advance to drop us off at Fantasy Lodge. Traffic was hell that day that we arrived at Fantasy Lodge at around 5:30 in the afternoon. It's actually quite easy to locate the place since it's just at the right side of the road with a wooden signage that says "Fantasy Place". Since it was already dark when we arrived, I took photos of this nice viewing deck that they have the next morning. 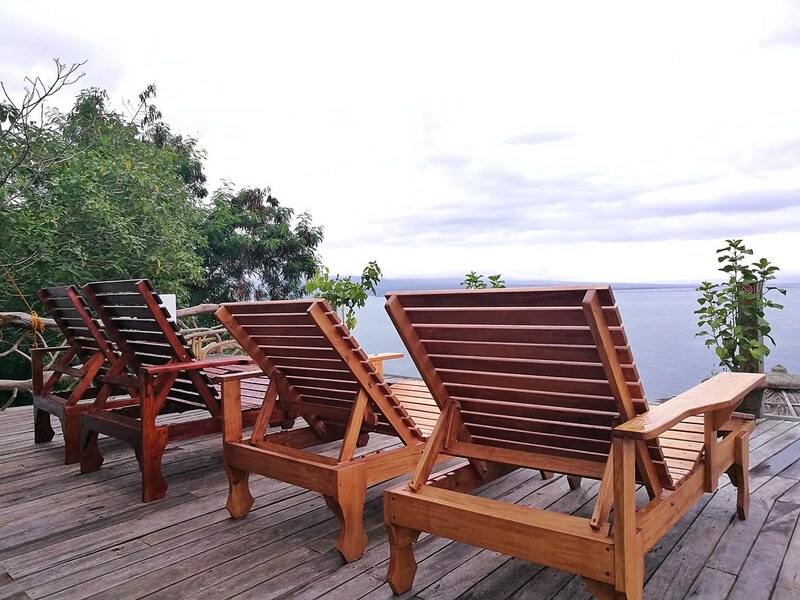 This viewing deck was one of the few things that caught my attention while researching about Fantasy Lodge. I have been imagining watching the sun set while chilling at one of their sun beds but I guess that will simply be just an imagination for me. For now. Fantasy Lodge has only one swimming pool and it's not kid-friendly because it's I think 9-feet deep. 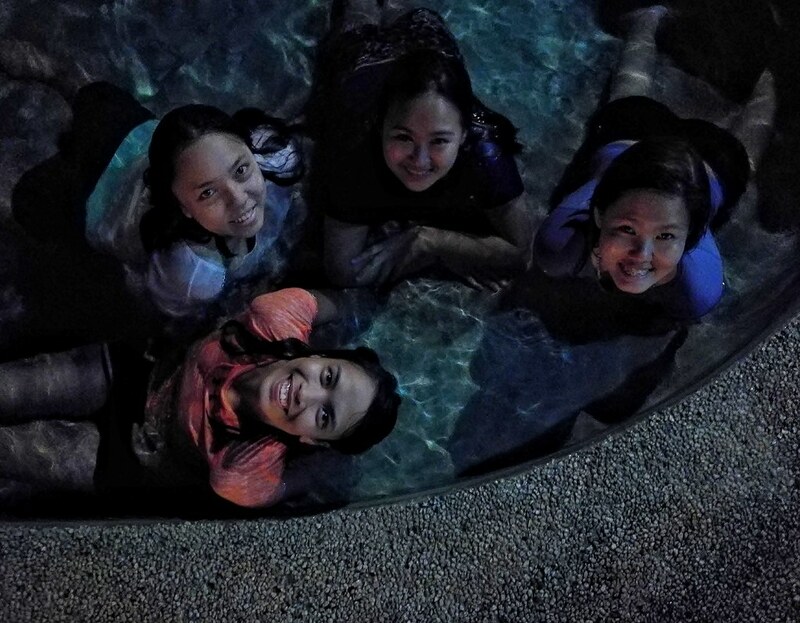 Though I did enjoy the swimming pool, I suggest when you bring your kids with you, accompany them always. Unless of course, they know how to swim. 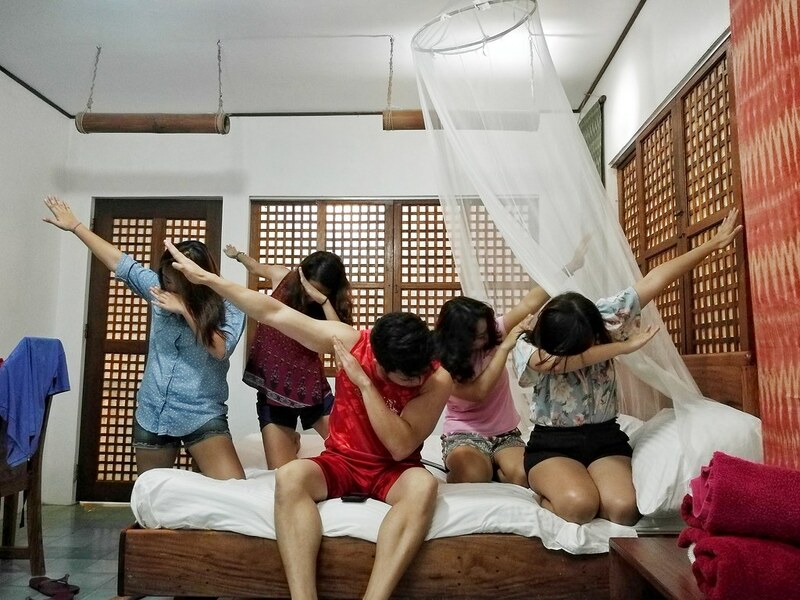 I was not able to take photos of our room sans us but this room is good for four with a maximum of one extra person. 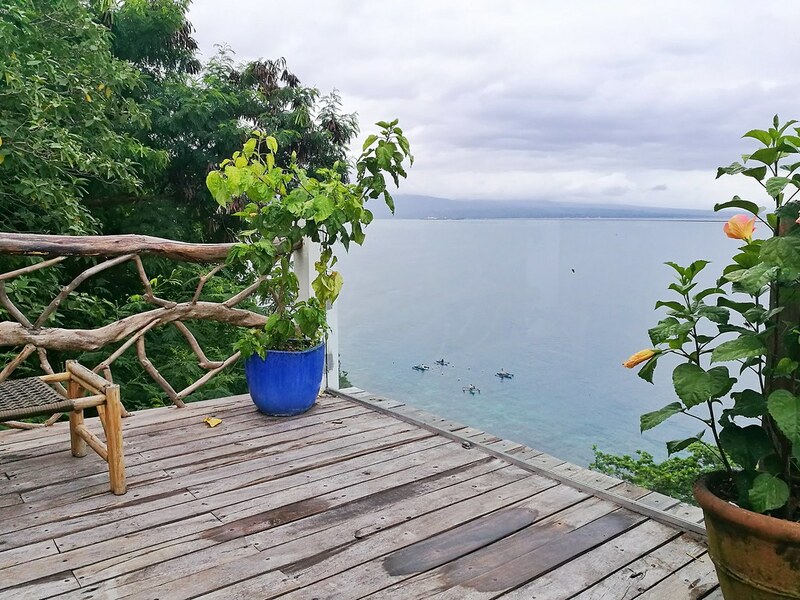 The room is non air-conditioned and costs Php 2500. 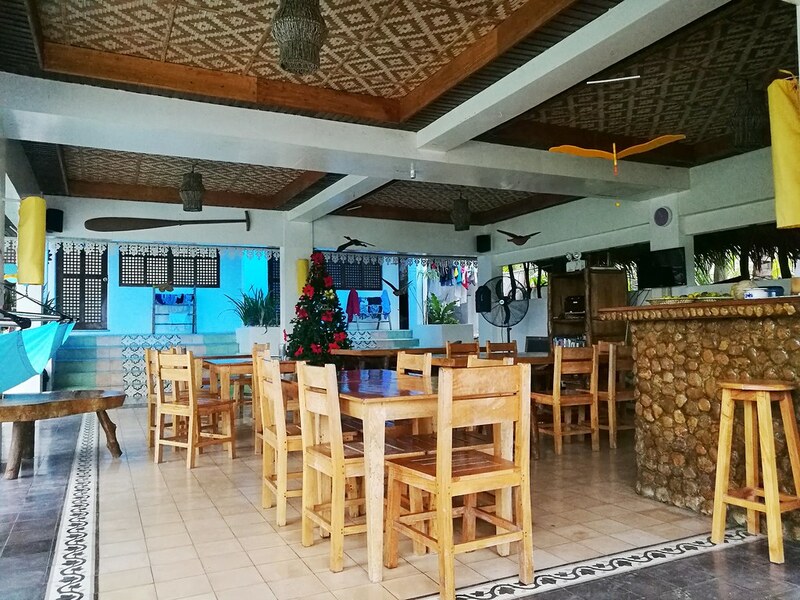 The four people have free breakfasts while the extra person which costs Php 500 does not have any. I was honestly disappointed knowing this because an extra mattress for the extra person was that expensive and he/she doesn't even get a free breakfast! Anyway, the room was A-OK. The beddings were nice and clean and the shower was working well. Overall, the room was worth it but I do hope the management of Fantasy Lodge changes their rules about the extra person/mattress soon. Because it's overly expensive and unfair for me. 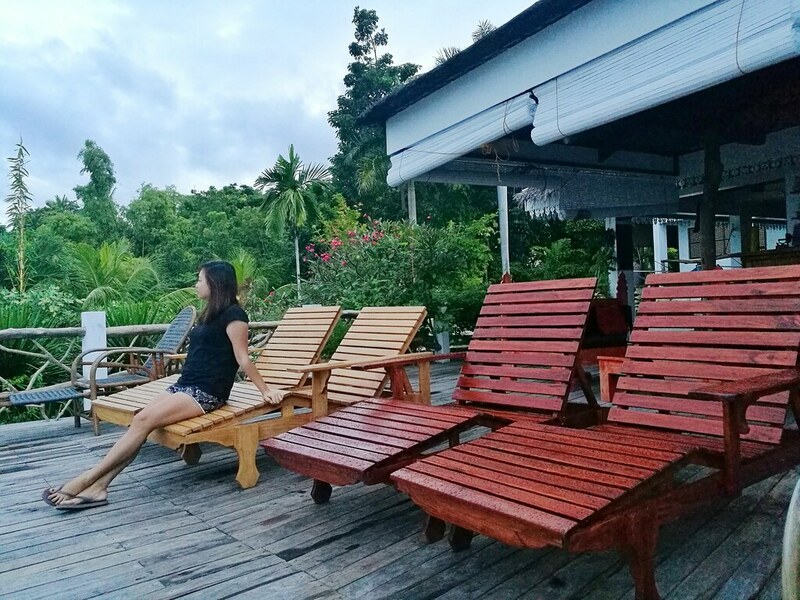 The restaurant is located by the pool area and viewing deck. They charge corkage fees (Php 200/person) for bringing food (main meals) and liquor from outside. But you can bring a few chips and biscuits like what we did. Anyway, since we arrived a few hours before dinner, we ordered our meals at their restaurant and the prices were expensive (for us). Some items on their menu were "value meals" which means they already come with rice and there were some which were good for two so we expected fairly huge servings. But tada! We were surprised and disappointed! The servings were small considering that their prices were not really friendly for the local guests. And it would have been justifiable if the food were delicious but sadly, they weren't. The Pancit Canton was too salty and the noodles were overcooked. The scales of the Grilled Fish weren't removed and still smelled fishy. The Pork Sinigang was like sipping sea water because it was very, very, very salty. The fried chicken consisted mainly of flour and bones. 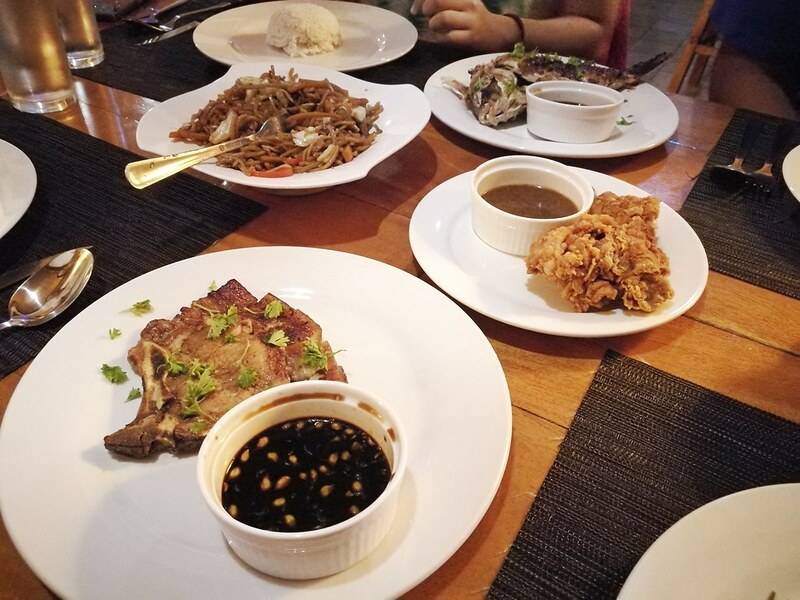 The Grilled Pork was quite fine but the meat wasn't tender and we were disappointed that they served porkchop cuts. We were kind of expecting grilled pork belly. Maybe they should change the name on the menu with "Grilled Porkchop". For the breakfast, we were asked to choose from Filipino or Continental. All four of us chose Filipino breakfast. 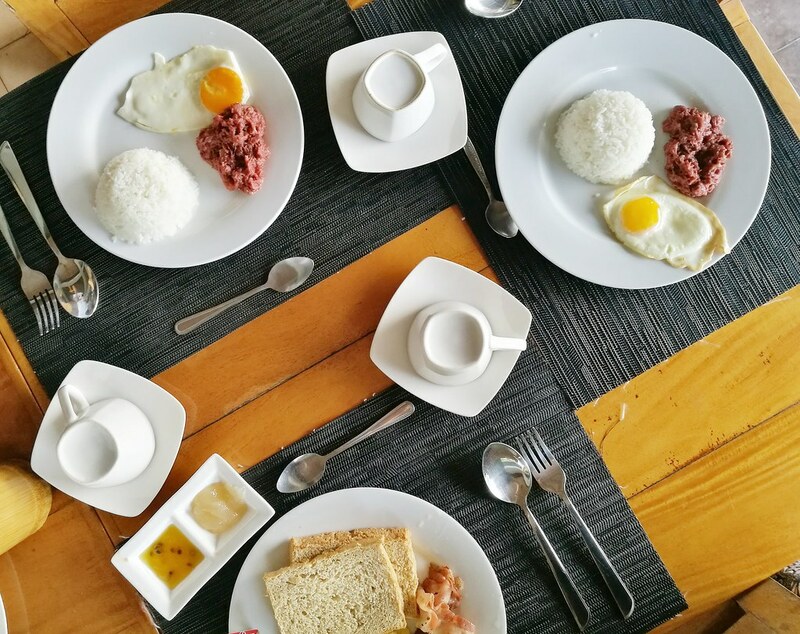 And since one of us didn't have a free breakfast, we ordered an extra one worth Php 250. Our breakfast food were better but still, we were not quite satisfied with the serving size. Their hot chocolate is yummy, by the way! Anyway, here's what really disappointed us with Fantasy Lodge's restaurant service. Please note that I'm writing this based solely on what we have experienced firsthand and may or may not have been encountered by other visitors. We ordered our dinner at 6PM. We kept following up because we were already starving. It was already around 8PM when our food arrived. Their prices are very expensive considering that their servings are small and does not even justify what they say as "good for two". We ordered our breakfast during dinner time and asked them to serve it by 6:30AM since we need to leave early for our Aguinid Falls trip. I woke up at 5:30AM to take photos of the place. One of us went to their reception desk at around 6:30AM to follow up our breakfast but to no avail. I went there for the second time and they told us the rice wasn't cooked yet. So we were like, "Why bother ask us the serving time when you can't even make it?" And again, our breakfast was served at around 8AM. 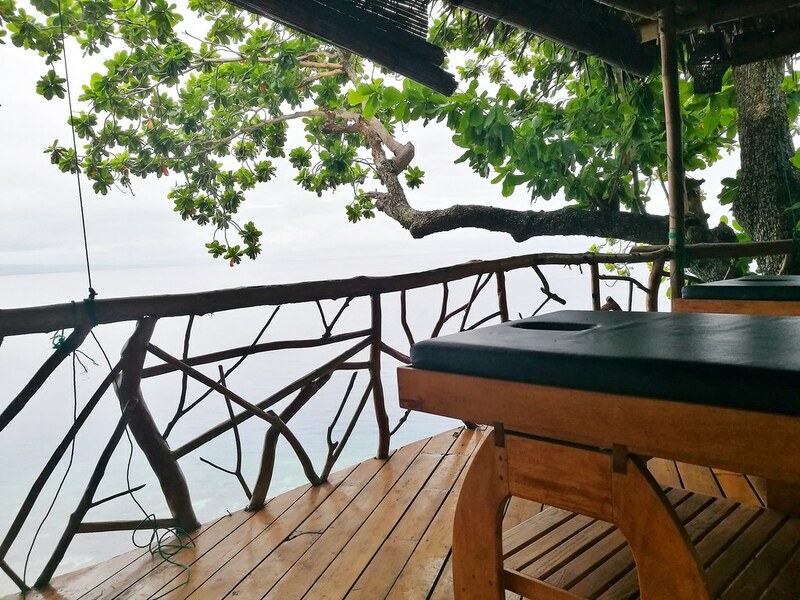 Aside from the Kawa Hot Bath, Fantasy Lodge has a spa area overlooking the sea. 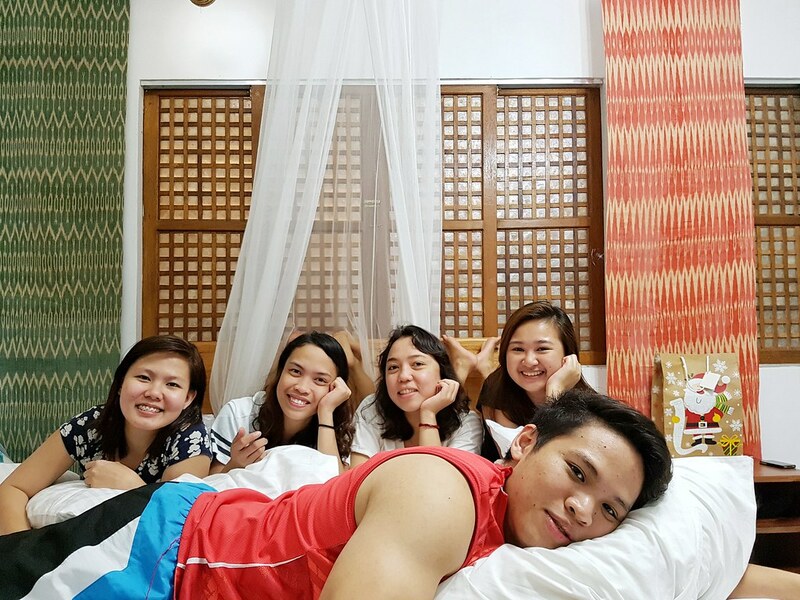 We did not bother having a massage because an hour of massage costs Php 800. 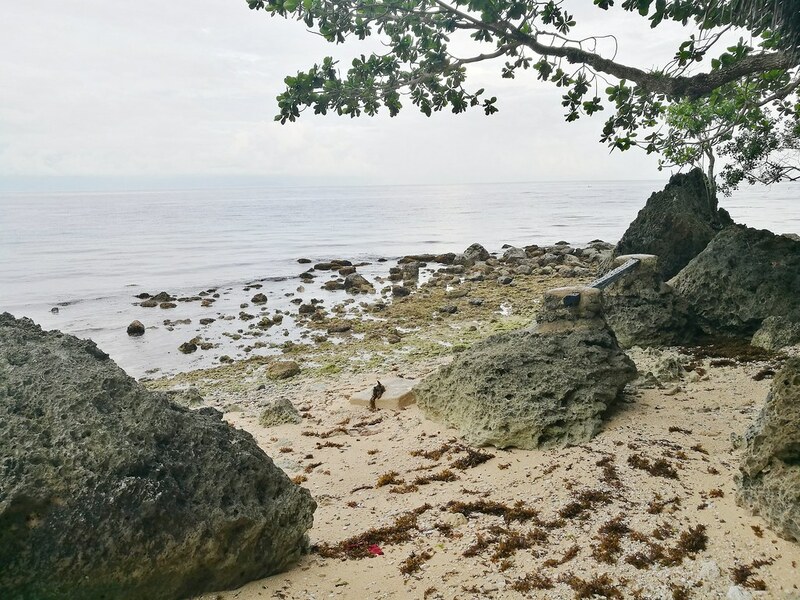 Unluckily, it was low tide during our visit at Fantasy Lodge so we weren't able to enjoy the beach. To go to the beach, you have to go down a number of steps. 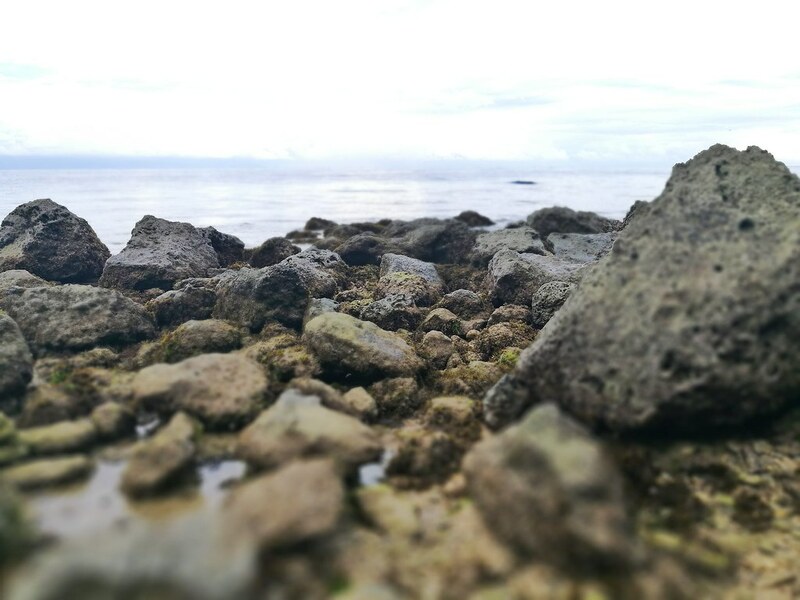 The beach area is rocky and you can see a few huge boulders. And remember, going down is never easy as going up. I had to stop every once in a while because I was already panting. Haha! I badly need a good cardio exercise, no? So, here's what Fantasy Lodge is famous for. 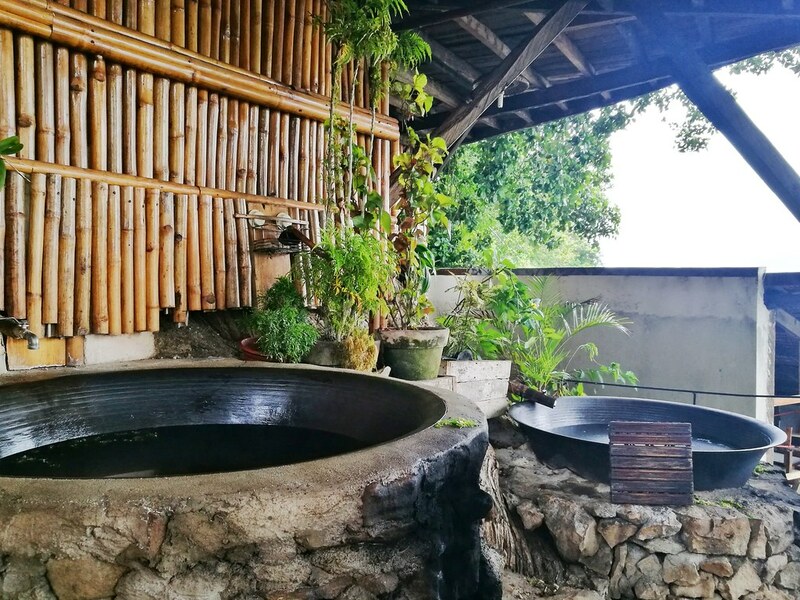 The Kawa Hot Bath allows you to experience what it's like to be "cooked" in a massive cauldron or kawa for 45 minutes. 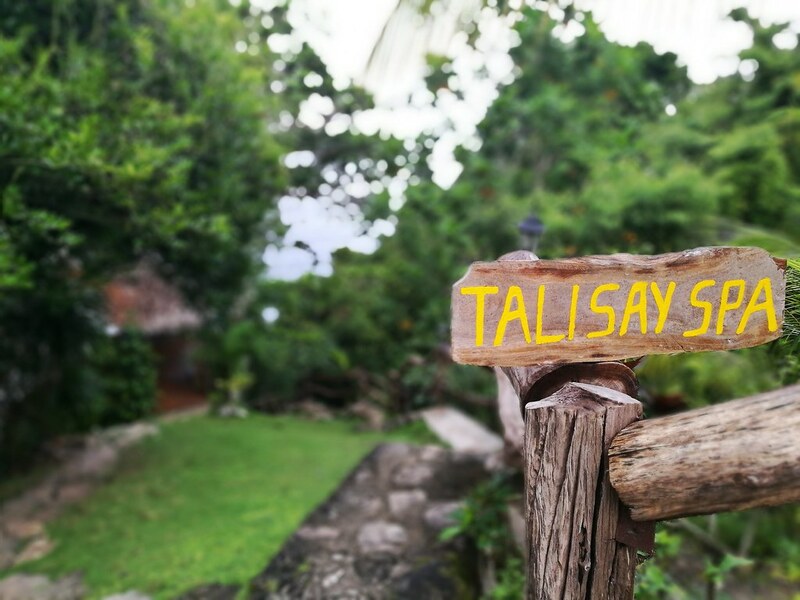 The area for the hot bath is located just below the Talisay Spa and still gives you an overlooking view of the sea. 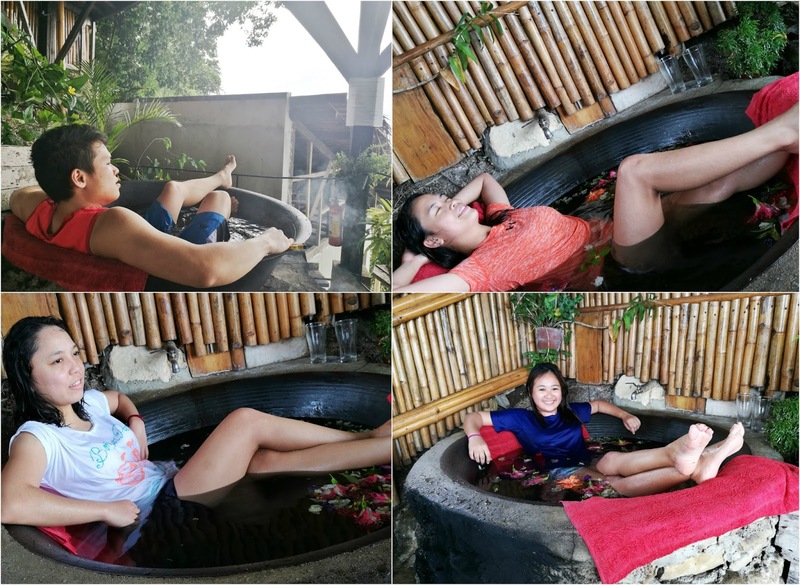 The Kawa Hot Bath is Php 450 per person with your choice of herbs. The hot bath helps you relax and release the panuhot from your body. Our stay at Fantasy Lodge was lovely, it was just the restaurant service and food prices that we did not really like so much. 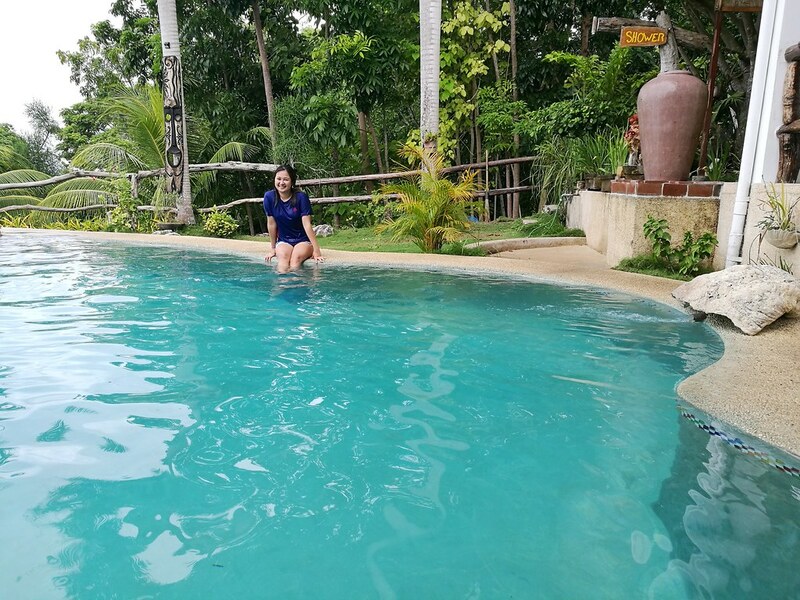 The place is good for a quick getaway from the hustle and bustle of the city life. 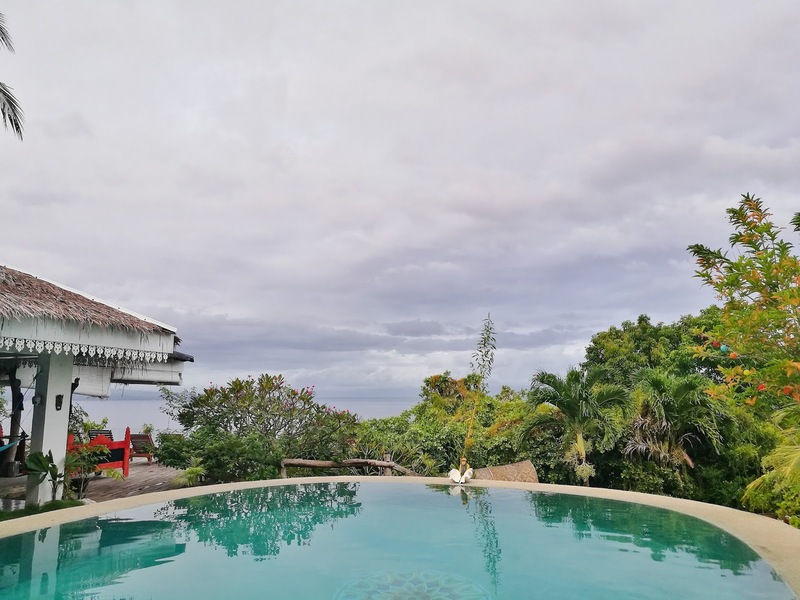 I would still recommend Fantasy Lodge as a must-visit here in Cebu but I do hope they improve their services to be able to provide their guests a flawless experience. Nindot kaayo sya sa feeling!!! That spa looks so heavenly! You have been wishing to go there! Amazing - sooo amazing! Thanks for dropping by, Aicha! You should! It's very relaxing! I wanna try that Kawa Hot Bath! Looks so relaxing and funny because you get to choose the herbs that would go with the bath. Hahaha! It's like "I wanna be boiled with corns and pechay parang Nilaga"! 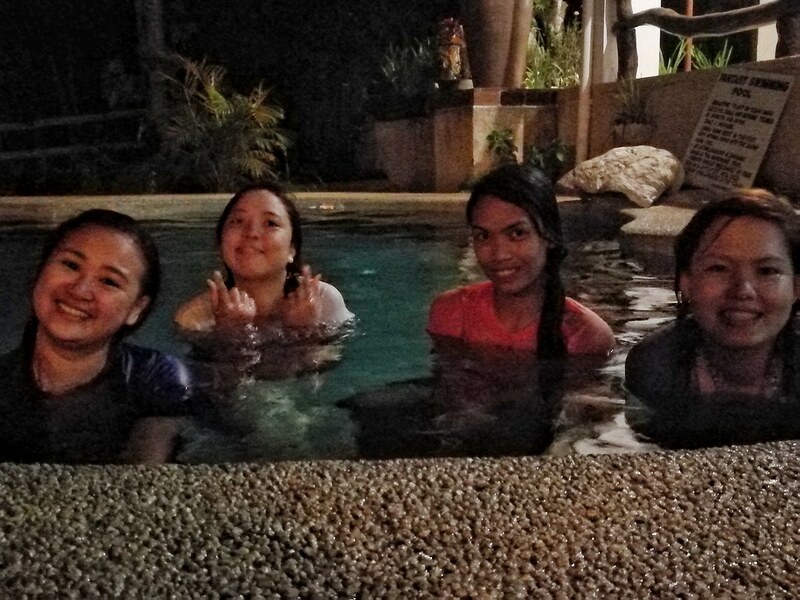 I would love to experience pud aning Kawa bath. Pero murag gamay ra man oi, dapat dako ba para daghan mabutang nga sahog. Hahaha. Hahahaha sakto2x lang gyud ang size niya, Ate. Pero mas nindot jud bitaw if mas dako pa para murag bathtub ba nga mahumol jud og tarong ang lawas. Haha.